Turnkey first floor unit (wheel chair accessible) in updated condition from long time owner. This condo unit, located in the rear of the complex, features eat in kitchen with radiant floor heat, living room with newer carpet and wall unit A/C plus sliding doors to private rear yard. The 2 bedrooms have ample closet space and the full bath has an updated tub surround. Heat, water/sewer and hot water all included in condo fee as well as in-ground pool, fitness room, community room, tennis, basketball & playground. Plenty of parking for residents & guests. Pet friendly! 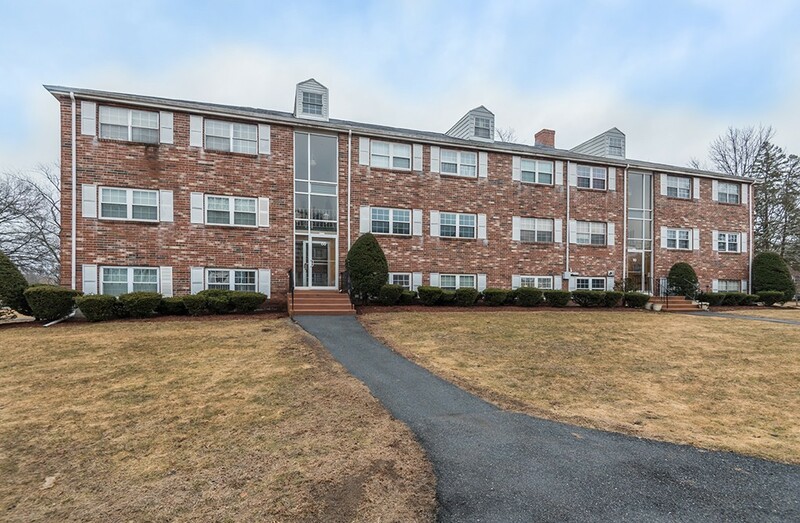 Convenient commuter location only a few miles to train stations & Highways 495 & 93. Excellent opportunity to own a well maintained condo in a desirable location!